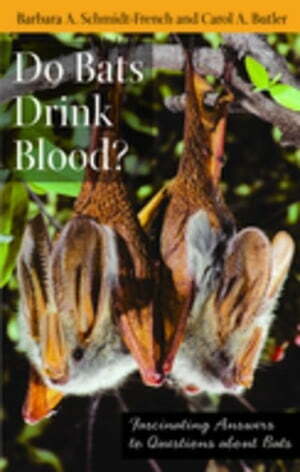 Collins Booksellers - Do Bats Drink Blood? : Fascinating Answers to Questions about Bats by Schmidt-French, Barbara A., 9780813548401. Buy this book online. Highly beneficial animals, bats are critical to global ecological, economic, and publichealth. Do Bats Drink Blood? illuminates the role bats play in the ecosystem, their complex social behavior, and how they glide through the night sky using their acute hearingùecholocation skills that have helped in the development of navigational aids for the blind. Personal in voice with the perspective of a skilled bat researcher, this book includes rare color and black and white photographs and explores wideranging topics as well as common questions people have about bats, providing a trove of fascinating facts.